Oakridge Mall redevelopment of 11 towers up to 45 storeys tall is an example of what the City has identified as potential development for the Broadway Corridor if a subway is approved. • We must look beyond sound bites coming from the multi-million dollar, publically funded Yes campaign for the transportation plebiscite. The evidence shows that the plan for the Broadway Corridor is more about implementing Metrotown-scale development than it is about transporting people. With foreign capital taps wide open into local real estate and development, Vancouver is demonstrating the kind of deregulated extraction capitalism opposed by Naomi Klein in her latest book, This Changes Everything. Manipulated growth projections are used to justify development we do not need. This is leading to overbuilding of about 2,000 units per four-year census period. By 2011, this amounted to a total of 22,000 unoccupied units. The point is not how do we force these expensive new units to be rented out, but why do we permit overbuilding? Like the 1950s and 1960s neighbourhood clearing and urban renewal highway projects, this current tower oriented redevelopment of established neighbourhoods will prove to be a mistake. Affordable older housing stock is being demolished to be replaced by tiny-unit, expensive cookie cutter condo towers or new monster houses. These are not affordable or viable options for most people or families in Vancouver. Increased development pressure will increase rents and the cost of home ownership. This plebiscite is a crucial step to fulfilling the decade’s long play initiated under former premier Gordon Campbell and Kevin Falcon when they set up TransLink to push forward the Canada Line for the winter Olympics. As shown by the City of Vancouver’s policies under Transportation 2040, and explained further through the City’s KPMG report, development along Cambie at Oakridge and Marine Drive stations are examples of what to expect along the Broadway Corridor if the plebiscite is approved. The Oakridge site was approved last year for upzoning to 11 towers of up to 45 storeys jammed around the mall. The scale certainly does not conform to neighbourhood character along the Broadway Corridor. The Broadway Corridor has been identified by the City as a Frequent Transit Development Area (FTDA) for transit oriented development in the City’s Regional Context Statement. This blankets Commercial Drive to UBC and 4th Avenue to 16th Avenue, through Grandview, Mount Pleasant, Fairview, Kitsilano and Point Grey. The Urban Land Institute (ULI), an urban design think tank, stated in its 2014 report that there is enough zoning capacity in Central Broadway to support a subway since the existing C3A zoning is only 60% built out. However, the City’s current policies show that upzoning of the Broadway Corridor is the intended outcome if the subway is approved even though upzoning is not necessary. We need to reconsider the impacts of an unsustainable tower model placed outside of the downtown core; this is proven to be the least possible energy efficient form of development. Further, if the plebiscite passes and densification precedes the decades-long process (including phase 2 to build a subway to UBC), it will result in massively increased congestion for the next 20 years. Instead of adding more electric trolley buses to service increased population, the use of more diesel spewing busses will result in increased GHG emissions, particulate pollution and traffic congestion. With most of the funding going into expensive rail technology, little will be left for expanding the electric trolley bus network that could substantially reduce noise and pollution at a fraction of the overall cost of rail. A subway is about $250 million per km, streetcars $40 million per km and electric trolley buses only $1 million per km plus $1 million per double trolley bus. Electric trolley buses, including rapid bus or express routes, could implement system-wide reductions in pollution and noise immediately at a very modest cost if more money went into this now. There are also many unclear aspects to the Broadway plan such as which part is to be elevated and which is budgeted for a tunnelled subway. Will it be cut and cover or a bored tunnel? Will this affect small businesses along Broadway the same as the devastation on Cambie Street with the cut and cover for the Canada Line? How will the civic amenity services – community centres, parks, libraries, daycare – for the increased concentration of development be paid for? Community Amenity Contributions (CACs) paid by development only cover about 10% of the total costs of development. Property taxes will have to increase again to subsidize the costs for civic amenities. But if development is used to pay for transit as contemplated in the City’s Transportation 2040 plan, the CACs will go towards paying for transit rather than civic amenities and facilities. This will require even more property tax subsidies to cover amenities. The City of Vancouver’s lack of democracy, transparency and accountability breeds distrust. Recently, the community of New Yaletown sued the city to reverse an arrogant development scheme. In the BC Supreme Court decision on January 27, 2015, it was ruled that the public must be provided all relevant information, presented concisely and intelligibly, in order to enable informed public input. That the City is appealing this court decision shows how little they are willing to be held to account and how they value development above democracy. Further, unlike a referendum, this plebiscite does not require financial disclosure. There have been media reports that $7 million in public tax funding has been given to the Yes campaign, with questions raised about additional unreported amounts from private sources that stand to gain from a Yes win, such as developers and transit infrastructure providers. Are public funds going to political parties and their supporters? We will never know what the funding sources are or where the money is being spent. But watch for all the advertisements they are buying with your money to trick you into voting Yes. The questions about the plan for the Broadway Corridor need to be publically debated. A plan supported by the community ought to be reflected in City policy before the authorities are given more power and money. This plebiscite question is premature and should be voted down. 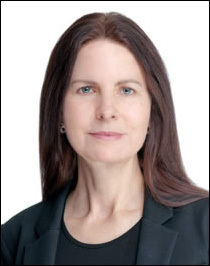 Elizabeth Murphy is a private sector project manager and formerly a Property Development Officer for the City of Vancouver’s Housing & Properties Department and for BC Housing. Eric, I think that when we just talk about transportation we agree on a lot of things. We are both fans of the electric trolly bus system, including rapid bus transit. We do not like highway expansion, etc. But unfortunately transit is no longer about transporting people. It is about accommodating development. A yes vote will unleash all the development pressure with this mandate. The City of Vancouver has already indicated that with a yes vote they will be reconsidering the development plans along the Broadway Corridor. This will mean enormous pressure to put towers into the Grandview Community Plan currently underway and the Kitsilano plan that is next up. More towers for Mt. Pleasant as well. 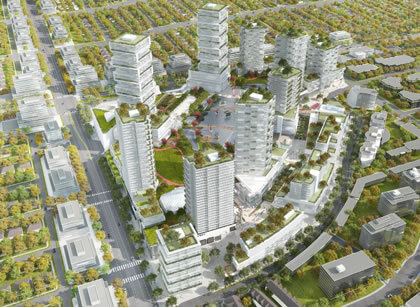 It has been identified that Jericho Lands will potentially have Oakridge scale development of towers up to 45 storeys in anticipation of a phase 2 subway expansion to UBC, possibly not for decades. Yes we need to look at the big picture. At least a no vote will slow down the development and is the only chance we might have to influence a better outcome. We need more transit, but it needs to be done right without destroying the communities it should be serving. The transit referendum is largely about a choice between a reasonable but imperfect transit plan and freeway expansion (primarily the scheme to replace the Massey Tunnel with a massive freeway bridge, but also the Boundary Rd. freeway proposal etc etc). It covers the whole region, not just the west side of Vancouver. The No side is led and dominated by long-time freeway advocate Jordan Bateman, now working for a group with close oil industry ties and a history of climate denial. The Mayors Plan includes surface light rail transit in Surrey and Langley, as well as funds for bus lanes and signal priority so buses don’t have to stop at red lights. Bus rapid transit along 41st is a distinct possibility, even electric trolley bus rapid transit. Not everything is carved in stone, there is lots of room for public involvement in shaping our transit system after a Yes vote. As for the Millennium Line extension, the section connecting to the Canada line is badly needed for regional connectivity. This is the part that is most likely to be built in the next decade. That is lots of time to campaign for something different west of Cambie. We need to look at the big picture: climate, ocean acidification, the allocation of road space to pollution spewing cars vs public transit. I say vote Yes AND get involved in creating the transit system we really need. What is the content of the question? Does is ask for more funding for transit, or for public funding for development? Since when is the main purpose of increased transit reduced congestion? Since more roads have NEVER been proven to reduce congestion, how about getting used to the fact that you live in a big city, and that congestion is here to stay? Transit is not about moving your 2000lb chunk of metal more efficiently around the city; it is about moving people. Where was the referendum before the new Port Mann Bridge, err, winter ice fall adventure ride? Why is it that a referendum is seen as necessary before we spend enough money on transit to actually get people around the city? Yes. Increased transit does bring more development. Deal with it. Make it work. High rises, low rises, housing of every type can be designed to use radically less energy than current forms of construction. Cities too. Both can be designed to be far better, and to work far better with carbon-free forms. Will a “no” vote lead to a better city? No. It will only allow the current, destructive, car centred form of development, that is so damaging, to continue. The odd thing about this argument – that a Broadway subway is a bad idea – is the two main mayoral candidates in the recent Vancouver elections both campaigned for such a subway. Together they had nearly all the votes. Certainly the design of development related to such a subway is worthy of discussion. A subway itself doesn’t preclude such a discussion. I think if civic elections were held today the warm and fuzzy transit vote would be compromised. The transit plebiscite seems to be uncovering the dark underbelly of the Mayors’ transportation plan of which the new tax is only one part. The January BC Supreme Court ruling on Yaletown was telling: If new information is emerging that our municipal government is using misleading information to justify rezoning for large tower development particularly for the proposed Broadway subway line we need to demand more transparency and ultimately more public hearings. As transit and land-use are intimately connected I think putting all our transit eggs in the Broadway subway basket for a 10 year mega project would preclud using the +/- $3.0B for dispersing transit and density in a different overall urban form for Vancouver. What we need is an accessible public transportation system planned in accordance with the needs of the people of Vancouver and after real consultation with them. The developer-led history of this city suggests that the real goal of the proposed subway is not improved transit but intensive re-development of the Broadway Corridor to create opportunities for the development industry. This will merely exacerbate the affordability issue in Vancouver, which is out of control & likely to get worse. As in all jurisdictions undergoing growth that do not tie development to affordability commitments, gentrification & displacement of local residents has become endemic. No on the Plebiscite! Infill and foreigners ruining Vancouver? Taxes are bad! infrastructure is bad! Boo building mass transit, we want to cling to the past and live in old, run down houses! Or, rather, WE wont because we’re rich, but we don’t think the poor should have access to nice things. If people are honest with themselves, the answer is “No”. Not wanting to be repetitive on why the planning will fail to deliver (because TransLink’s transit planning has a history of failing to deliver), but is TransLink really the right vehicle to plan for transit? What TransLink has done in its sort career is the ability to cherry-pick talking points from other cities and try to make it fit in Vancouver. A little SkyTrain here, preferably in a subway under there; LRT across the river because we don’t want it here (or really there); BRT everywhere, as long as the BRT customers are dumped at a SkyTrain station to complete their journey to where ever; and finally all to be spiced with congestion charges or road pricing. Transit is at a crossroads in Metro Vancouver, yet a YES or No vote will not change much and until there is a wholesale change on how we both plan and operate the regional transit system, this entire Greek Tragedy will be replayed in about 5 years time. The main problem is the Metrotown scale of new development that is proposed. It is assumed that everyone who buys into these expensive tower units will not drive and only take transit. How realistic is that? And if the development precedes the transit, possibly by decades, the increased traffic will create much more congestion and crowding on the existing B-Line. Thanks for putting my thoughts into words; that’s what I’m thinking too! Thank you very much for a very clear and informative article. Can I ask you this—Why doesn’t Translink build transit by obtaining loans to do the construction, and using the increased income to pay off the loans? Is that not a proper business model? The outcome of using the loan model might be to show the best option is the $1 million per km option, which could provide good transit on all main streets, as opposed to the $250 million per km for the limited mileage Skytrain option — which seems designed to have the public pay for all the construction costs in taxes, while hugely benefiting big developers at no cost to them. Government capital projects are often financed through bonds. This debt still may need to be serviced by some taxation if the transit fares are to be kept reasonable. But overall no matter how transit is financed, the electric trolly bus system is the most affordable. As Eric notes, electric trolly buses can be both in mixed traffic and for rapid transit. It is adaptable and may vary from route to route, depending on need. Because it is so adaptable, it could even have dedicated lanes during peak rush periods only in some routes. Or it could have mixed routes where part of the route is separated and some where it mixes with traffic. The other advantage for the City of Vancouver is that many of the arterials already have the infrastructure so only need more single and double articulating buses to increase service. Excellent overview of the difficulties with the plebiscite. Good. This is where we begin a reasonable discussion…what is the fear and why are UBC and SFU students – supposedly the home of critical thinking in BC – so incapable of speaking out other than more platitudes for the YES side?